Teachers as Researchers: Theme 2 – Student Voice and Focus – CONNECT! This is part of a series of blog posts by Kevin Sonico (Grade 9 Math/Science Teacher) on Research Experience and Its Impact on Teaching Practice. Theme 1 on Professional Growth can be read here. 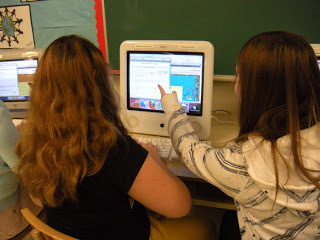 By virtue of being the subjects of research studies, students participated in the designed learning activities. Naturally, teachers used a variety of student artifacts and behaviours as evidence for their research. More interesting, however, was the role of student voice in the evaluation of their research efforts. Participants did not only welcome but also solicited student feedback. “It was really a partnership with the kids in them documenting what was working, what wasn’t working, me observing and…having conversations about what we could do instead,” quoted a participant. Through polls, surveys, and/or written reflection, students provided feedback for research purposes and, more importantly, their perception of their learning activities. Their comments were used to tailor teachers’ practice in the classroom. A participant commented, “Throughout the whole process, we were adjusting and modifying how we were approaching implementation and planning and assessment to ensure that we were meeting the needs of students.” By shifting the roles of students from mere research subjects to active participants, there were also cultural and experiential impacts brought on by incorporating student voice. As a result, teacher-student dynamics allowed for the openness of the teachers to feedback and the willingness of students to provide that feedback. Through the descriptions of participants’ experiences, it was evident that students and their learning were the focus of research. In the planning stage, participants expressed a desire to improve student learning. This goal became the primary impetus for their research studies. For two researchers, their studies focused on developing existing skill set of students. Another participant referred to the importance of students benefiting from their research on team-teaching practice. Another participant cited the value of recognizing all students including those that “normally [do] not shine” and a research study was built around that principle.